Stephie James is playing at the Tip Top Deluxe in Grand Rapids on Wednesday, July 11. Her music radiates with the vintage atmosphere of the 1960s mixed with a little surf rock. James credits her mom for introducing her to musicals at a young age, and says listening to show tunes shaped the way she thinks about song writing. “I got into a lot of 60s stuff like Roy Orbison and Phil Spector records. And when I was really young it was Bob Dylan. And once I heard Dylan, it was like, 'Ok, this is what I want to do, I want to write songs.'" In 2009, while still in high school, James craved a place where she and friends could play music. At the same time her family opened a small shop called Dessert Oasis in Rochester. The idea was to bring the community together with sweets and live music. And you could find James playing almost every night for hours on end. One night while James was on stage at her coffee shop, none other than eight-time Grammy-winning R&B legend Anita Baker walked in the door. “I knew who she was like right away … and I was so nervous. You’re standing there kind of defenseless. She’s watching me, and I’m like 'Oh man don’t mess up.'" Baker told James to consider taking her music career more seriously. And so James had a decision to make: stay in college at Oakland University or go on tour with Anita Baker. “And when I got the call from Anita Baker to go on the road, it was like, there will always be a classroom. I could always get a degree, but Anita Baker doesn't call everyday and say come on the road, so I better do it." The song was picked up by another Grammy-winner, Michael Bolton, and released in conjunction with the premiere of Boltons’s documentary film American Dream: Detroit. Now, James is working with Alabama Shakes producer Andrija Tokic to debut her first solo album coming out at the end of the year. In the middle of all this newfound success, she and her family are still committed to supporting local artists in her home state. Dessert Oasis Coffee Roasters opened a second location in downtown Detroit earlier this year. This post was updated July 11, 2018, to correct the location of Dessert Oasis from Royal Oak to Rochester. 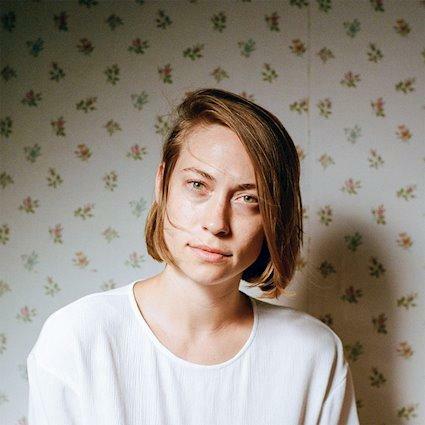 When Anna Burch moved to Detroit, she didn’t set out to make a record. Now, she’s out with her debut solo album, Quit the Curse. A West Michigan native, Burch got her start singing in the folk-rock band Frontier Ruckus, and more recently co-fronting in the group Failed Flowers. "2 Cool 2 Care" is the single that launched the new record, which explores the complexities of moving to a new town and navigating new relationships.